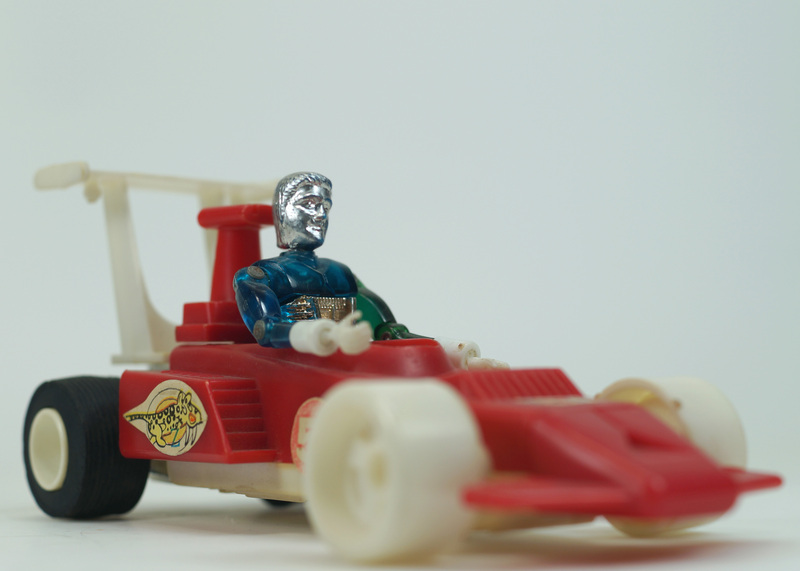 Lots of new photos in the Micronauts section of the site. Navigate directly to a vehicle or figure for the photos. The Warp Racer, shown here, was my first, and favorite Micronauts vehicle. I loved the wind up engine, cool futuristic design, and the time traveler that came with it. As I received more micros for bday and xmas, I gradually shifted my allegiance to the alien toys, but to this day I still have my Warp Racer. Man, j had so many of these toys, I thought I was the only one that played with them. I had a ton, remote controlled vehicles, a large robot that was assembled by putting other vehicles together…. Anyway, all I have are two clear figured one is missing a foot. They both have silver faves and two different gold chest pieces. Any idea what these are worth? I collect Star Wars, Mego, six million dollar man. I am always looking to trade because it is always a win win for both. The time travelers are maybe worth $8. Without the foot, less.